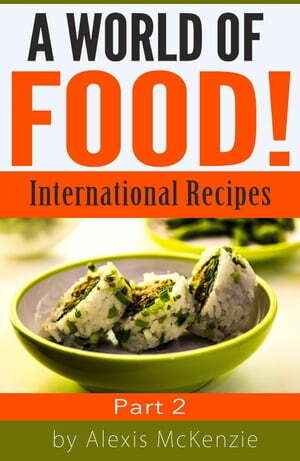 Collins Booksellers - A World of Food: International Recipes... Part 2 by Alexis McKenzie, 9781386839965. Buy this book online. In Part Two of our International Recipes reports, we explore the other four continents of the world where a broad range of food choices exist. While the continents of North and South America, Europe and Australia share common ingredients and methods of food preparation, there still exists some classic, cultural dishes native to each region. You’ll find some of them in this book. Again, as in Part One of this series, the recipes have been divided by continent and by region within that continent where applicable. There is so much variety of foods in this report that everyone will find a new dish or an old dish with modern modifications suitable for any table. All the ingredients in these recipes should be readily available through a local grocery or international foods outlet. Trying something “new” is always an adventure - but most are very successful additions to your list of repeated family favorites. Whether you prepare these dishes for special occasions or ordinary dinners with family and friends, you’ll find something that is surely a treat! Pick up your copy today... Enjoy!